Our Simplified One Off Job Creation means you can take that call and set up the job while on the phone to the customer. We understand One Off Jobs often represent the cream for many businesses and it’s extremely valuable to be able to quickly and easily book and schedule that Carpet Clean, Window Clean or any other Adhoc Service you offer simply and quickly, while still being able to deliver all the Site and Safety Information, Job Tasks and Standard Operating Procedures and still leverage our Advanced Task Verifications features. Record Site Safety & Security Information fast. Record Site Safety & Security Information and arm your team with all the details they need to perform that job effectively. 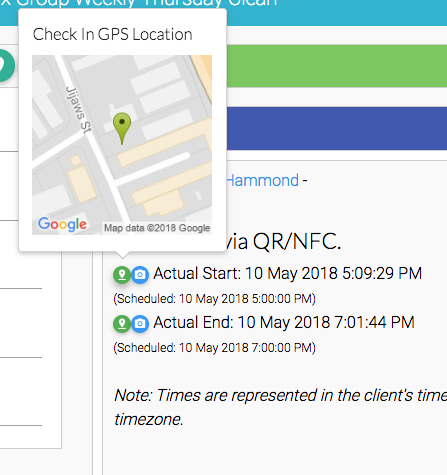 Your team can simply just Check-In when arriving or you can activate Verified GPS Check-In to ensure they are checking in onsite.